We recently saw the BlackBerry 7 OS get approved for use by the UK government, now the same OS, along with OS 7.1 has been approved for use by Australian and New Zealand governments. It certainly is reassuring to know that our beloved BlackBerry operating systems is secure enough to get government approval. While not many consumers are hugely concerned about security, I, for one, like this about BlackBerry so I always like hearing news like this. Sydney, Australia - In conjunction with the release today of the BlackBerry® 7.1 Operating System in the Australian market, Research In Motion (RIM) announced that BlackBerry® smartphones running the BlackBerry® 7.0 and 7.1 Operating Systems (BlackBerry 7) have been successfully evaluated and approved for Government use by the Defence Signals Directorate (DSD) of the Australian Government. 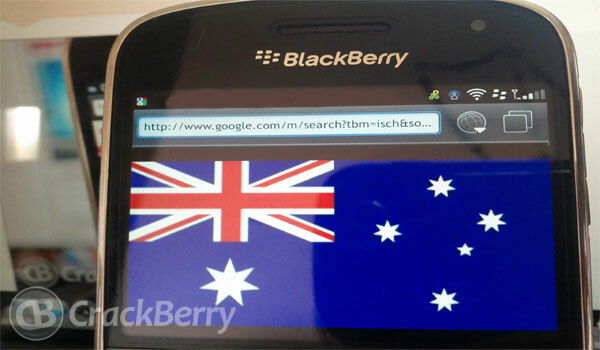 The certification from the DSD affirms that the BlackBerry 7 Operating System meets the Australian and New Zealand Government's strict security standards for a wide range of the Governments' information classifications, representing the majority of day-to-day operational communications. BlackBerry 7.0 and 7.1 Operating Systems, when used in accordance with Government guidance, can be used to secure information with a classification of up to and including PROTECTED for the Australian Government and up to and including RESTRICTED for the New Zealand Government. "With the DSD approval of BlackBerry 7, Research In Motion continues to lead the industry when it comes to meeting the security certification requirements of governments around the world," said Scott Deacon, Manager, Security Certifications, Research In Motion. Tim Dillon, Associate Vice President Asia Pacific End User & Mobility Research, IDC Asia/Pacific, said, "As organisations continue to embrace mobility across all facets of their operations, the security risk escalates considerably. In today's environment, mobile security is more than just device management. Organisations need an integrated capability that spans device, network, applications and data." BlackBerry 7 powers the new generation of BlackBerry smartphones and includes significant performance enhancements as well as many new features and functionality including Liquid GraphicsTM technology, fast BlackBerry browsing and NFC technology. BlackBerry 7 continues to set the standard for information protection, with support for ECC (Elliptical Curve Cryptography), AES (Advanced Encryption Standard) and the ability to protect enterprise data transmitted between a BlackBerry smartphone and internal systems.